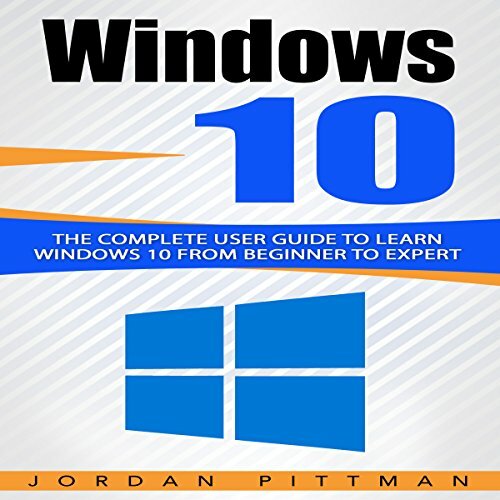 If you are new to Windows 10, you need this book. From new security features to organization, this book will help you navigate the newest form of operating systems. You will learn how to use the registry and so much more. 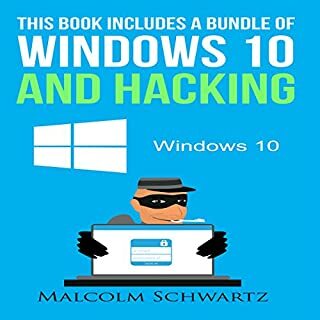 No matter if you have upgraded your computer during the free year or you have purchased a full copy, this book will help you get started and even be there when you have to reinstall the operating system should you need to. If you're new to Windows 10, you need this book. Form new security feature to organization, this book will help you navigate the newest forms of operating systems. You will learn how to use the registry and so much more. No matter if you have purchased a full copy, this book will help you get started and even be there when you have to reinstall the operating system should you need to. If you are someone who craves for productivity and organization, Outlook is the ultimate tool. Outlook’s calendaring, contacts talents, tasks, and obvious email skills are just a few of the many wonders it can perform. 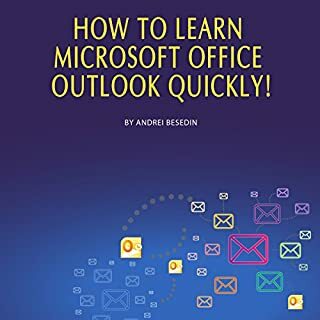 In case you have little or no knowledge about Outlook, we have made available a success proven audiobook titled How to Learn Microsoft Office Outlook Quickly! to increase your productivity and be well organized in your business. Learn the Basics of Windows 10 in Two Weeks! If you've wanted to learn how to use Windows 10, you have probably thought it was a difficult and long process. This is actually not the case at all. Windows 10 can be an extremely easy and straightforward process. The days of searching countless websites to find what you're looking for are over. With this book, you will have everything you could possibly need, all in one place! These are the ten best-ranked tips according to our online search. You will learn so much more with this guide. Is your IT system an asset or a hindrance to your organization's success? More important, can you tell the difference? Unlike other well-recognized professions, information technology is still in its infancy. With this book you will gain an understanding of how IT systems and tools can offer your organization the best chance to succeed. If you are a busy person who does a lot of note taking for either professional or personal reasons, then the Microsoft OneNote software would be perfect for you. This free, extremely easy to use, and quite comprehensible note-taking program is much more than merely a note-taking service. It actually contains a number of unique and extremely useful features that you will not find with any other word processor. Are you getting frustrated because you cannot manage all of your tasks therefore you are getting behind and your boss is upset? Rather than stressing out, simply learn PowerShell! PowerShell is a program that you are going to be able to use in order to manage all of the tasks that you need managed. Are you a novice when it comes to Windows 10? Are you sure that you’re getting the most out of your home PC? Windows 10 is the latest upgrade for home PC’s and millions of computer users around the world are beginning to learn the new functions and different aspects of this improvement to their working and personal lives. But there is a lot to learn and sometimes you’ll need a helping hand. Now, with Windows 10: The Complete User Guide to Learn Windows 10 from Beginner to Expert you have the support from professionals who are at the cutting edge of this technology. Windows 10 delivers concise and easily understood information on all the cool new features. This essential user guide is suitable for complete novices who have never used Windows before, right up to seasoned experts who still have those nagging unanswered questions. Get your copy of Windows 10: The Complete User Guide to Learn Windows 10 from Beginner to Expert today. This complete guide is all you will need to start your Windows 10 adventure. The audio sample intro that is in Audible does not seem to be in what I downloaded (3 different attempts on different devices). This book is NOT for beginners. The first chapter starts: "Whenever you do an advanced setup, you are going to be able to start a recovery on your system, use diagnostic tools, and trouble shoot what may be wrong with your computer. Along with that, you can boot your system up from a disc such as a USB or a device, but if you are using a device, you are going to need to use UEFI only." There is no explanation about UEFI. You can spend a lot of time trying to search for the different terms online to figure out what the author is driving at, but it seems a bit much for the author to claim this is for beginners but offer no explanations. It isn't any better as the book goes on. This is useful (I think) if you already know something about Windows 10, but if you are just starting out: pass on this one. This Book Is Great! Colorful, easy to read and Understand, Step by Step! Worth every penny! I got a great deal of information from this audio book. The many graphics really made the text much clearer. Windows has really become a challenge since XP and this book made some sense of a number of the foggy parts of the puzzle. Microsoft's newest operating system, Windows 10, is out now, and in an effort to combat the enthusiastically negative public response to Windows 8, the company is giving it away for free. This new operating system was designed to work on personal computers as well as on Windows tablets and phones and changes to suit the strengths of each. What a good start to have this book. It really opened my mind to new possibilities of being final free with this kind of tool. In becoming a windows 10 is not an easy job but it is worthy enough to have a place or highly suggested. This guide really delved in deep to reveal all the tips and tricks you need to learn before using this new software. I would highly recommend to those just using Windows 10 for the first time! 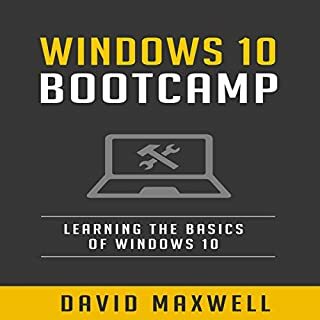 I enjoyed this book because it helped me significantly in understanding Windows 10, and how I can use it to my advantage for my business. The author described every single thing very clearly with some proper explanations. I liked this book very much and I'm glad to have it on my audio. I recommend this guide to anyone who wants to get more information about the popular operating system, Windows 10. This book is well written and easy to understand. All information is clear, easy and useful. This book actually tried to answer my questions, and I would say, I am really entertained with all the answers it gave. 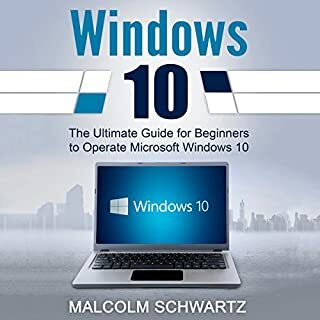 I am interested in Windows 10 operating system and my colleague recommended me this guide. 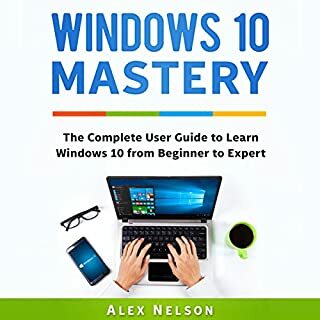 In this book I found much useful and important information as start menu, settings and controls, new features, useful apps, on- board browsers, cortana, adjusting from Windows XP to Windows 10, how to improve your Windows 10 experience, caming with Windows 10 and much more.